Restoration of Regency Style Marquetry Table — Bernacki & Associates, Inc. This impressive piece of furniture arrived with a number of issues. Most obvious, an expansion crack at its serpentine top ran through veneer, substrate, and carved apron. 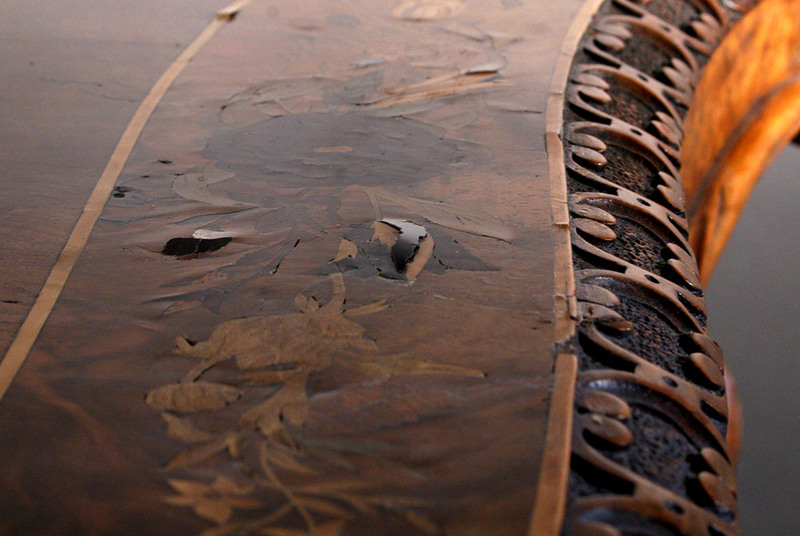 Further, areas of marquetry veneer, as well as inlaid banding, had released and were now lifting from their substrate. The large expansion crack was Bernacki & Associate’s first priority and was in-filled with materials matching the table’s original composition. Lifting and releasing marquetry work was consolidated and re-attached. New materials and repairs received matching patina and, with a covering of French polish and shellac, the table was returned to its intended grandeur.